I just didn't know what to write! I had a bit of writers block and just couldn't think. 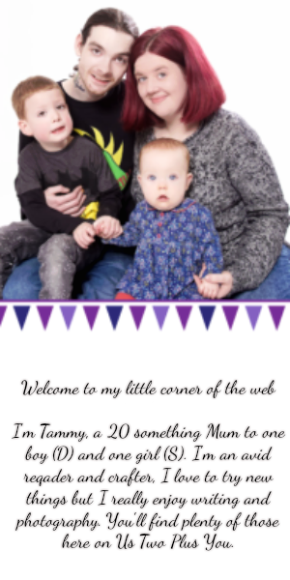 My phone broke, I write almost all our posts, responses and anything else for the blog on my phone. Now on to our book this month, we actually love this book all round as a family and has regularly been read over and over. We have been reading A Squash and A Squeeze this month. We are very big fans of Julia Donaldson and Axel Scheffler in our house, The combination of Brilliant stories and amazing pictures is definitely something we enjoy! 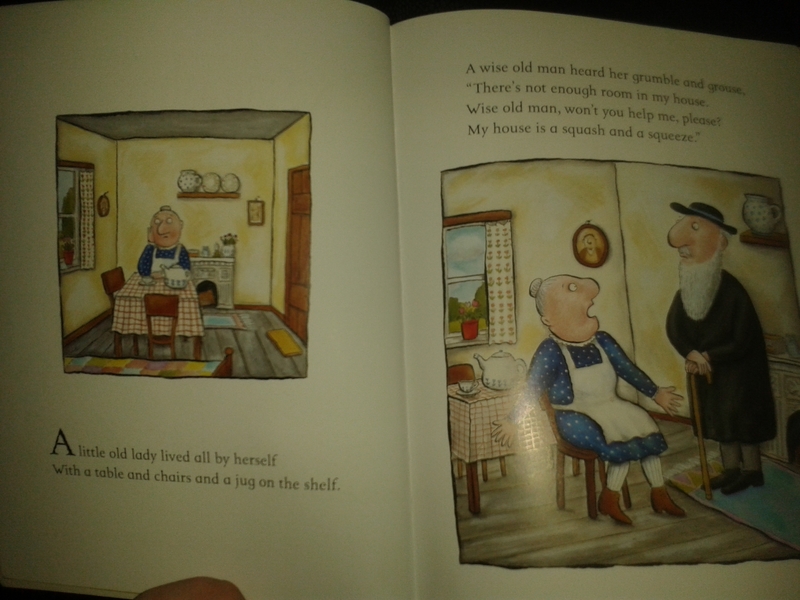 A Squash and A Squeeze is about a little old lady who lives alone and thinks her house is too small. She asks a wise old man to help her. He tells her how to make her house bigger by bringing in her animals! Each page is decorated with beautiful illustrations depicting the accompanying story lines. The story itself is made to rhyme from start to finish and can honestly be a bit of a tongue twister if you forget to concentrate! I love that the book itself is always an enjoyment to read while it teaches not just rhyming but teaches children about problem solving! 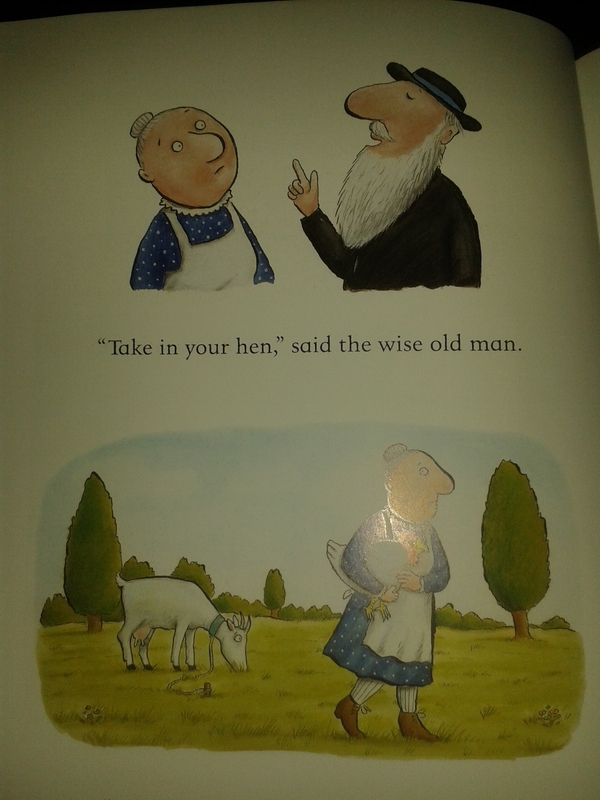 I love that the first time you read it you really don't understand why the wise old man tells the little old lady to take in her animals when she asks for help with her small house. 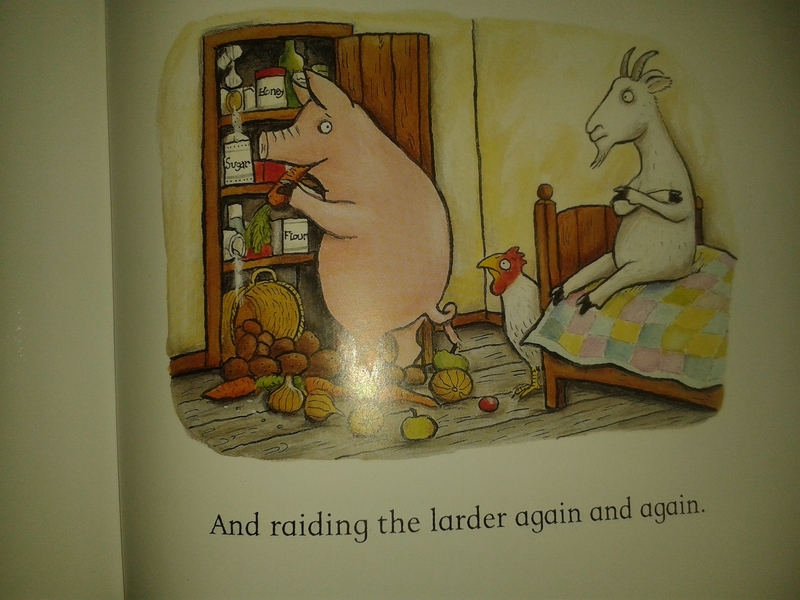 A Squash and A Squeeze is a great book for the imagination with horses tapping out a jig and pigs raiding the larder! The story is well proportioned, not too long but also not too short that D wants another story after. Each page has 2-3 lines which tell the story with the appropriate images. D loves this book and laughs each time the little old lady add an animal to her tiny house! He seems to really understand what happens in the book and enjoys looking at the pictures while he tries to tell me what everything is or says! I do think that A Squash and A Squeeze has helped D learn a few of these things I have mentioned. 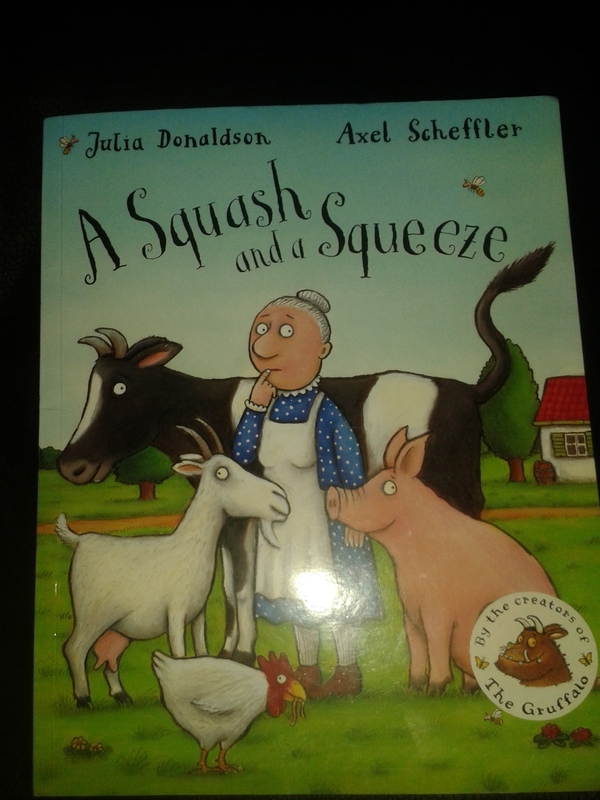 If you have not read A Squash and A Squeeze by Julia Donaldson and Axel Scheffler it is one we would recommend. A Squash and A Squeeze is available in most book stores and is also available on Amazon. It costs £3.50.